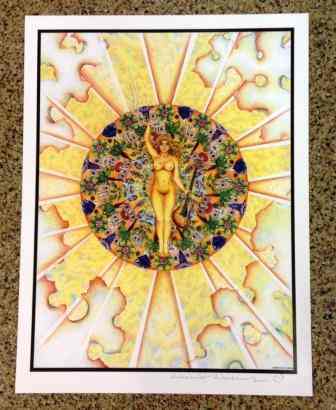 This psychedelic color poster print has a naked woman in the center surrounded by all kinds of mushrooms. Designed and signed in ink by artist David Drennon, this poster is printed on archival heavy stock paper and measures approximately 17" x 23". It would look great framed.